ATLANTA - Dorsey Alston, Realtors®, led by agent and breast cancer survivor Karen Mullinax, came out to show their support in the fight against breast cancer Saturday, Oct. 25 during the 2008 Making Strides Against Breast Cancer walk. 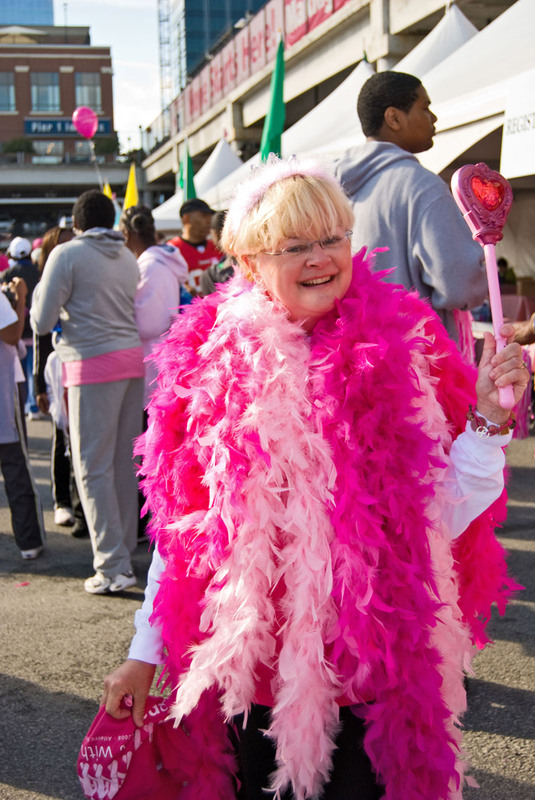 Held at Atlantic Station, all money raised from the three-mile, non-competitive walk funds the American Cancer Society’s ground-breaking research, provides cancer prevention and early detection information, and helps ensure all women have access to mammograms and follow-up care. The American Cancer Society also provides free services that assist people currently facing breast cancer. This year, more than $552,000 was raised in Atlanta. Since 1993, nearly 4 million walkers across the country have raised more than $280 million through Making Strides Against Breast Cancer. In 2007 alone, nearly 500,000 walkers raised more than $50 million for the American Cancer Society. Amazing progress has been made in the fight against breast cancer, but there is more work to be done to beat this disease. Congratulations and thank you to all who participated in the Making Strides Against Breast Cancer Walk. Dorsey Alston’s team, Flower Power 2, successfully raised more than $2,400 for the American Cancer Society. Together, we celebrate survivorship, share hope and a united goal to fight back against breast cancer.